So I've blogged about cheeseburgers in a can, bacon in a can, the car exhaust burger grill and smothering. So what do I have today? 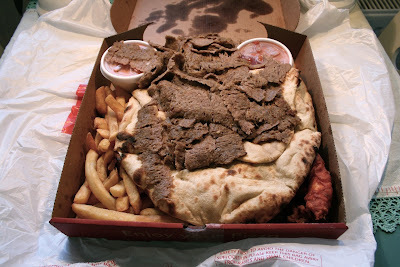 It comes from Scotland and it's called a "Munchy Box", and don't let the box fool you, it's not filled with pizza and the ten inch box pictured here only costs $10. 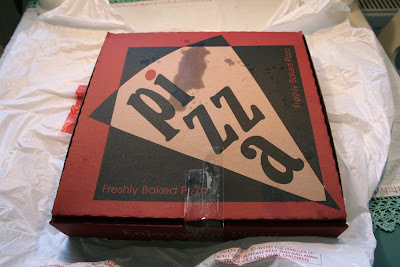 Wanna see what's in it (to truly appreciate the photos, click 'em to make them bigger)? 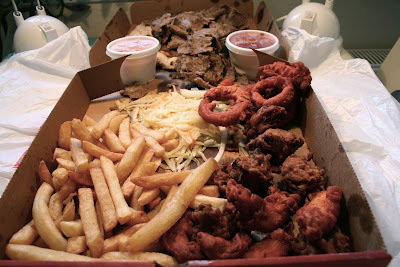 Oh, and if that doesn't look like enough food for you, you can opt for the 12 inch version.